Khirbet ʿAuja el-Foqa is a well-preserved fortified city on a hill about two miles southwest of el-Mastarah. The British survey visited the site in 1874 and, once they reported that it was the ruin of a modern village, no one bothered to visit it again for nearly 130 years. The survey of Manasseh visited the site in 2003 and conducted a thorough survey, followed by a detailed report of their findings. The site has never been excavated, however. ʿAuja el-Foqa is on a high hill isolated by steep slopes, rising about 100 meters above the valley below. We climbed the stony peak and found the settlement surrounded by a casemate wall with more than 20 casemate rooms in it. The remains of a tower are located at the center of the site, as well as numerous buildings across the site, including what may be the remains of a four-room house. The structures are very well-preserved, with walls standing up to 2 meters in height. In a number of locations on the site, we could see the remains of earlier structures underneath those on the surface. Ninety percent of the pottery collected dated to the Iron Age, and the survey concluded that the site was a fortified town during the Iron Age II (1000-586 BCE). However, the site may have been founded earlier, as earlier structures indicate. Zertal identified ʿAuja el-Foqa with the site of Ataroth, mentioned in the description of the Manasseh-Ephraim boundary in Josh 16:5, on the basis its location as well as on the meaning of its name. The name Ataroth means “crown,” and the site crowns the hilltop. 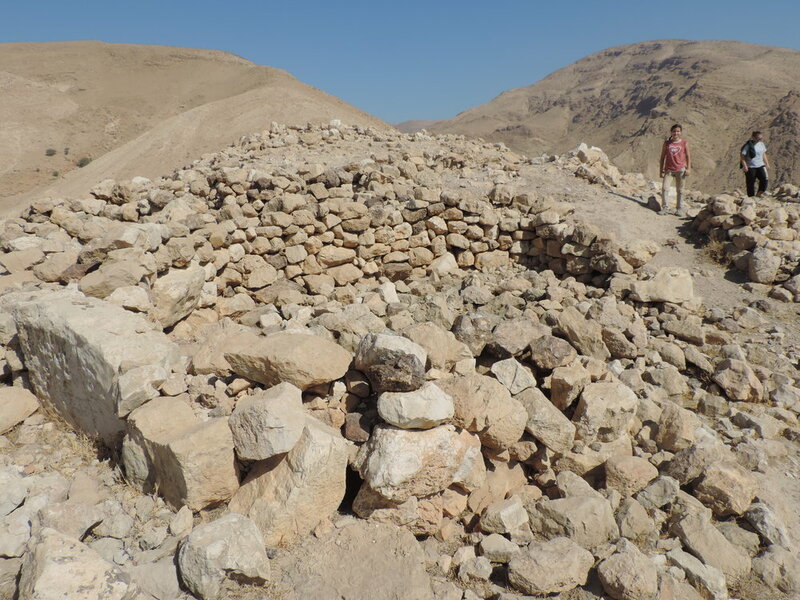 Shmuel Ahituv has recently proposed identifying ʿAuja el-Foqa as Na’arta, a central administrative site in the Jericho region mentioned in a recently discovered 7th century BCE papyrus as the source of a shipment of wine to Jerusalem. In either case, the site was clearly a military and administrative center in the Jordan Valley, and may yield important evidence about the administration of Judah in this region during the Iron II (1000-586 BCE). JVEP plans to launch excavations at ‘Auja el-Foqa in 2019.